As families continue to grieve and hold funerals for the 17 victims of the mass shooting at Marjory Stoneman Douglas High School, in Parkland, Fla., students and educators are calling for a nationwide day of action including school walkouts to protest lawmakers' deadly inaction on gun control legislation. The day set for the actions is April 20, which will be the 19th anniversary of the massacre at Columbine High School. 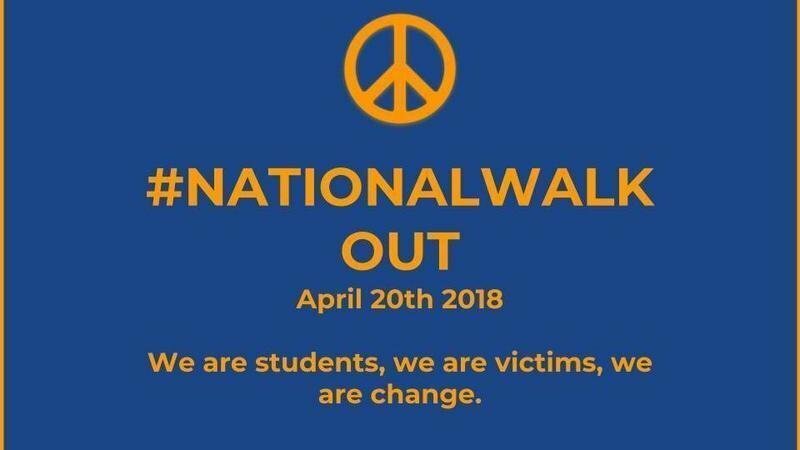 The Twitter account National School Walkout, which was started Friday, declares, "We are the students, we are the victims, we are change." The April 20 walkout, it says, will be "a polite, passionate, plea for peace." A Change.org petition, which has gathered over 6,100 signatures as of this writing, and is linked to the Twitter account, says, "There has been too much complacency on the part of politicians when it comes to gun violence. The time to act is now!" "The violence of guns is being performed in our schools and our communities. Not the Senate floor. As the future of America, it is time for teenagers to speak their minds and put their frustration into action," it adds. It also encourages people to sign on to take part in the action, saying, "Nothing has changed since Columbine, let us start a movement that lets the government know the time for change is now." The students' call-to-action comes days after David Berliner, an educational psychologist and Regents' Professor of Education Emeritus at Arizona State University, issued a call for a national teachers' strike if lawmakers continue their failure to enact "sane gun laws." Berliner's call, which he sent in a message to education historian Diane Ravitch, states, in part, "Almost all of America's 3 million teachers—nurturers and guardians of our youth—want sensible gun laws. They deserve that. But they have to be ready to exert the power they have by walking out of their schools if they do not get what they want. They have to exert the reputational power that 3 million of our most admired voters have. Neither the NRA nor their legislative puppets will be able stand up to that." He originally said the day should be May 1, May Day, but after being flooded with responses including from the American Federation of Teachers and the National Education Association, he explained to Slate the day got switched to April 20. "April 20," he told Slate, "will become the day on which teachers can say, 'No. You will never ever be elected again if you don't pass sensible laws, and there are all sorts of things that can be done that don't violate the Constitution.' I've just had enough." A web page calling for pledges to commit to an April 20 action and sponsored by the Network for Public Education, the American Federation of Teachers, the National Education Association, and other organizations says, "The failure to enact rational laws around the purchase of guns that are designed for mass shootings is inexcusable. The time to act is now. Every child deserves to learn in a school that is safe." A separate nationwide walkout event sponsored by organizers of the Women's March is scheduled for March 14. Rather than a day-long event, that action is scheduled to take place "for 17 minutes at 10am across every time zone ... to protest Congress' inaction to do more than tweet thoughts and prayers in response to the gun violence plaguing our schools and neighborhoods." 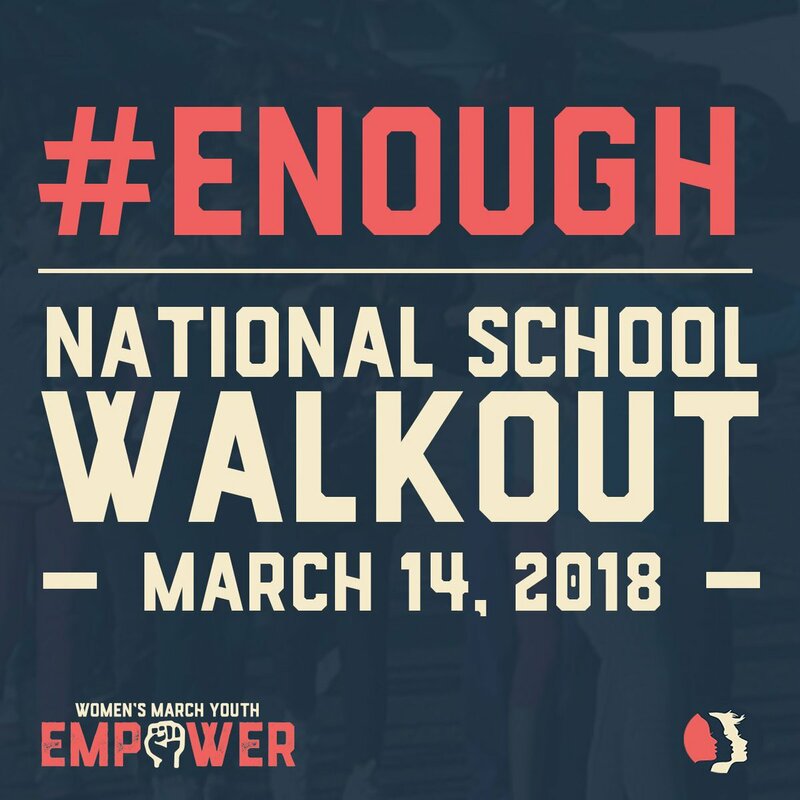 On Twitter the National School Walkout explains, "For those of you concerned on the separate dates of our protest and @womensmarch 's. We agree that there is strength in numbers. That is why we have contacted them and are waiting for their response. We all would prefer a full day to 17 minutes." Among the students at Marjory Stoneman Douglas High School countering lawmakers' vacuous "thoughts and prayers" and instead making passionate pleas for action on gun legislation in the wake of the Parkland shooting is 17-year-old David Hogg. "I don't want this to be another mass shooting. I want this to be the last mass shooting," the senior told MSNBC. "Everybody is getting used to this, and that's not ok. ... We're habituating to this. And what happens when you do that is children are dying and they will continue to die unless we stop it, stand up, and take action." "We don't need ideas. We need action," Hogg continued. "We need action from our elected officials and we need action from the civil public because without that, this is going to happen again."